By 1973, my musical obsession was in full flow. I’d been working for three years and the regular monthly pay, although not great, meant I could take risks on what I bought. A familiar name in the credits, the artwork on an album, a trusted label, a good review in the music press from a writer I rated, a chance hearing on radio or via a friend, you get the idea; I’m sure it was the same for many off you. Once I could afford them, I went for albums. Singles were still bought but generally only if I couldn’t get the tracks on an album. …that list increased by one. Maybe it was the fact it was on RCA, maybe the list of musicians or maybe even Clive’s moody rock pose. Ah, yes, Clive, the Clive James. All I know is that one play was enough. It was an album to get lost in. The sound was warm and appealing, Pete’s voice and tunes were beautifully presented and the lyrics were unlike any I’d heard before. Thinking back now, maybe there was a slight similarity of style with David Ackles’ American Gothic… Here’s three tracks from the album and for each I’ve added the full lyrics. There’s also a more recent live take of a fourth song. I can't express how powerful I find that song. Shame it refers to Chelsea though. And Polonsky answered "Stow it! How do you know what I feel? Now before I go further I’ll give a very brief history of Pete and Clive. Much more detail can be found on Wikipedia ( http://en.wikipedia.org/wiki/Pete_Atkin ) and Pete’s fascinating website http://www.peteatkin.com/ . Basically, Pete and Clive met at Cambridge Footlights, dreamed of becoming rock stars (very briefly) and made six albums. 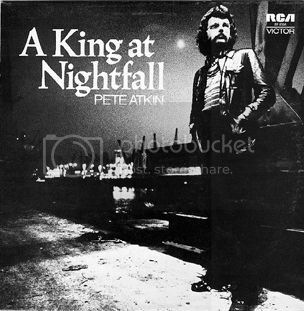 Nightfall was the third (and first on RCA, the first two were on Philips). The critics liked them but the good words did not translate into sales. Val Doonican recorded a cover version of the song "The Flowers and the Wine" and the royalties from that one cover were greater than the total from all six albums. The boys knew that success lay elsewhere. And in many ways, that was it until the internet brought together a group of people , the “Midnight Voices”, who had never forgotten the remarkable work of Atkin and James and set about bringing that remarkable partnership back to life. I'm out of time at this point and will get back with part 2 shortly. I'll finish by adding that, as I am sure some of you may know, Clive James is terminally Ill with B-cell chronic lymphocytic leukemia and did not expect to see Christmas 2014. He's written some beautiful poetry reflecting on life and the human condition and if you're interested it can be found here: http://www.clivejames.com/poetry/recentpoems For me, his site is one of the joys of the internet. No connection to Pete Atkin but this is beautiful. I'll miss him when he passes. I have a couple of CD-R's of his stuff but must admit I never properly listened to them. Anyway, I first became aware of PA when I heard Master of The Revels on Kenny Everett's Sunday morning show in about 1970. I subsequently found an original (gypsy caravan cover on the Philips label) copy of his debut, Beware of The Beautiful Stranger for 50p in the sale rack of a Dublin record shop not much later. Over the course of the next few years I snapped up all five of their original and reissued Philips albums on RCA. I also got to meet PA several times at his gigs (a throughly nice man he is too) - even going so far as to get my records signed. 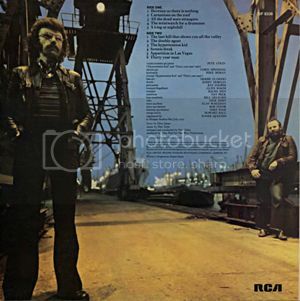 No big deal really as PA says on Steve Birkhill's rather splendid Smash Flops site, he and Clive must be the only artists in recorded history whose unsigned records are worth more than their autographed counterparts. While they got pretty good across-the-board airplay - John Peel was a fan and had PA do sessions several times and even Noel Edmonds used to play songs off AKAN on Sunday morning - I think what did for PA and CJ's lyrics and music (dig that Supremes riff in Carnations on The Roof) is that they were probably just a little too cerebral for mainstream tastes. The normally excellent Ian McDonald in NME went as far as to dismiss their songs as "bloodless". Certainly RCA's decision to market them as "A Level Rock" probably didn't help any. In the end, I think they only got a couple of covers on a Wizz Jones album and a version of Flowers and The Wine by the uber cool Val Doonican. And who is there to care, or left to please? And what care these two for a broken heart? I have to admit the songs have me kinda non-plussed. Only ever did the Factory once (to see The Pogues). The Poly and International (1 & 2) however were like my second home. I don't think I missed a gig by REM, Jason & The Scorchers, Green on Red, Beat Farmers, Blasters, Replacements, Steve Earle, Rain Parade etc. I also promoted quite a lot of gigs over 15 yrs or so: Joe Ely, Townes, Tom Pacheco, Guy Clark, Steve Young to name a few. "Hello Ian (and everyone) - No, it's not Songbook Vol.2. It'll be mostly post-Winter Spring songs. Most of them have had at least an outing or two at various gigs, so few will be completely new to absolutely everybody, and I may end up including one or two that have been missed out along the way over the years, but essentially it'll be a new CD. I haven't yet decided on the final list. And yesterday was just the first session. There'll be at least another for basic rhythm tracks. And yes, there will be other instruments added, not least electric guitar(s), plus self here and there. Not to rule out other possibilities (horns, voices, who knows? ), depending on what turns out to seem desirable. Oh yes, and budget." "Just a small update -- nine or ten of the tracks feature lead guitar from ... wait for it ... the legendary Chris Spedding, who has lost absolutely none of his abilities in all directions. He even uses the SAME Fender amp which he used forty years ago - and not because he can't afford a new one. He's back now living in Brighton having spent twenty nine of the intervening years as a session man in Los Angeles, and you don't do that by mucking about. I'm planning to give it as much of a PR push as I can afford, which will also mean raising my presence on Facebook, Twitter, YouTube, etc., so watch out. I'm also doing my best to generate as decent a gig list as I can, which means contacting venues myself rather than waiting for them to approach me, so if there's anywhere you know of where you think I might reasonably hope for a booking, do please let me know (an IM is probably the easiest way)." Very exciting! Great to see Chris Spedding playing with Pete again. Yes, I have finally stopped mucking about and committed myself. The mixing, the mastering, the artwork, the notes, etc., etc., are done, and the disc exists. The booklet includes all of the lyrics, full personnel for each track, and a new note for each by Clive, with additional notes from me. It will be a few weeks before I can make it generally available, but I shall try to keep you interested with a few teases till then. I hope you'll like it. There is some fabulous playing, I think, from everybody involved. In fact, it's the most 'fully produced' album I've done since the RCA ones in the seventies. I like to think it's a good sign that my own favourite bits change each time I listen to it. As before – as always, really – it's all but impossible to say what category it fits into, and as before I'll be happiest if it finds its way into 'Rock & Pop' as opposed to any of the more specialist sections of the virtual record stores' racks. I thought of calling myself a writer-songsinger (as opposed to a singer-songwriter) but that's probably just unhelpful, confusing, and a bit poncy. It's being distributed once again by Proper, so you'll be able to find it through pretty much any or all of the usual sources, online or physical. And this time they're also dealing with the download side of things. It's been hard to get gigs together, but I'm hoping that if and when the CD gets some coverage, that may become a bit easier. Meanwhile, it looks as if my return to Robb Johnson's Hove Folk Club on Friday June 5th will be the de facto launch event, so do please come if you can and crowd the place out (details as always on www.peteatkin.com).